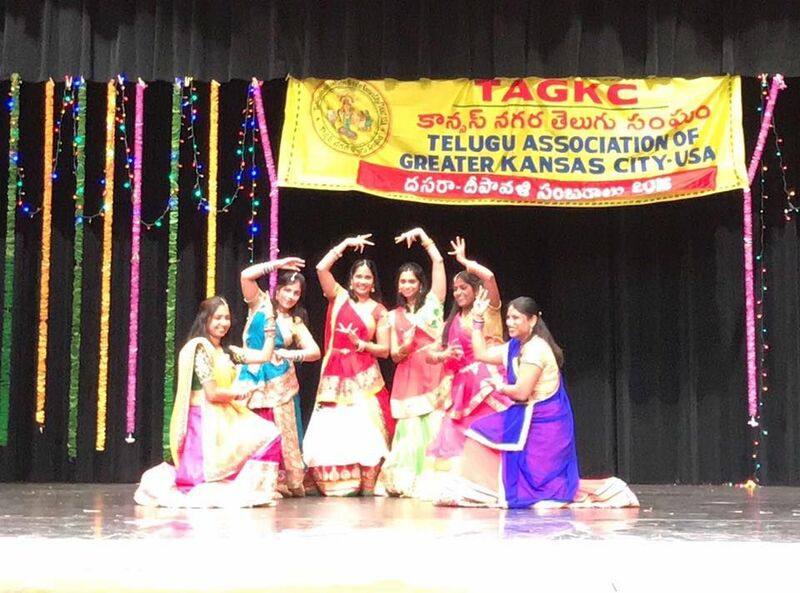 Telugu Association of Greater Kansas City(TAGKC) organised a grand event to celebrate Dasara and Diwali at Blue Valley Northwest High School in Overland Park, Kansas. Over eight hundred Telugus attended and enjoyed the evening together amidst several cultural events. The programme started with a welcome note by event coordinator Vishesh Repalle and later on gained momentum with the prayer and dance performances by kids. Youth and adults also showed equal enthusiasm in dancing to various movie songs and participating in fashion show. Bharatanatyam and Kuchipudi performances by artists received good appreciation. TAGKC President Srikanth Ravikanti presented bouquets to Gondi Geetha for her support to the organisation and later gave mementos to Venkat Gorrepati and Venu Molaka for their help in the past. The event concluded with the vote of thanks by Jyotirbindhu Kallamadi.